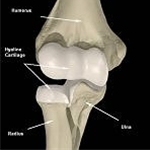 The elbow (Fig.1) is a hinge joint formed by the humerus (upper arm) and the radius and ulna (forearm). The elbow moves in flexion (bending) and extension (straightening). These movements take place between the humerus and the ulna. Forearm rotation is a more complex motion that occurs at the juncture of the radius and ulna. The elbow, as with all synovial joints of the body is covered with articular cartilage (Fig.1). This material cushions and provides a smooth surface which permits movement with minimal friction. 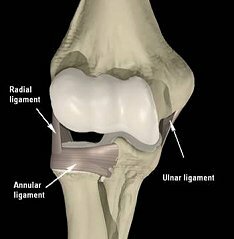 Ligaments connect bone to bone. The major ligaments of the elbow are the ulnar collateral, radial collateral and annular ligaments (Fig.2). 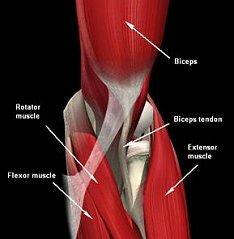 The muscles that flex and extend elbow are the biceps which flex the elbow, as well as aid rotation and the triceps which extends or straightens the elbow (Fig.3). 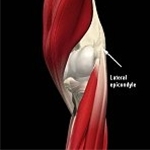 Other rotators of the elbow are the supinator and the pronator teres. 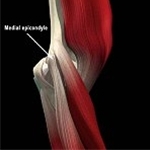 Muscles are attached to bones by tendons. Shop elbow supports and braces to help prevent or alleviate pain from elbow injuries like hyperextension, tennis elbow, golfers elbow and more. Read more.. 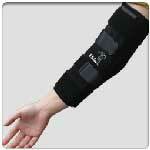 Pain from elbow arthritis can be alleviated through an elbow brace or support. Shop our recommended supports for elbow osteoarthritis. Read more..
Buy Direct from US Manufacturer Functional, Comfortable ing...Cubital tunnel syndrome occurs when the ulnar nerve becomes trapped or irritated as it passes through the cubital tunnel. Cubital tun Read more..